With the founding of Ebara Pumps Middle East FZE (EPMEF) on March 6, 2014 as a 100% subsidiary company of Ebara Corporation, Japan from a Sales Office for the last two decades it has widen its market reach and supported better its customer in the region. And last March, EPMEF had celebrated its 3rd year anniversary. And what better way to start the celebration is to do it with “The Ebara Way”. 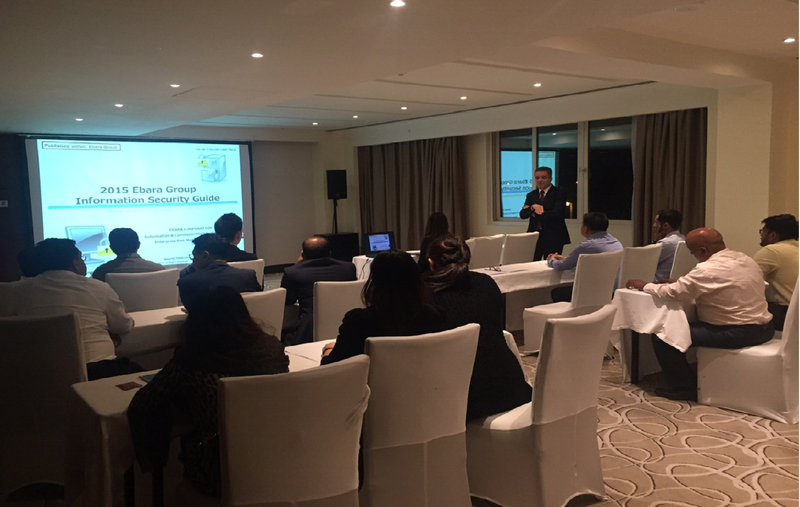 To mark its 3rd year in business, EPMEF has started the night with a training on Ebara Group Information Security Guide. In line with the Ebara group’s code of conduct and the founding spirit of Ebara, EPMEF had been doing continuous training and education of its staff of business ethics, company policy and awareness of social responsibility.